Jean Shinoda Bolen divides goddeses into virginal (independent) and vulnerable (dependent on relationships) and alchemical (both relational and independent.) The three virginal goddesses are Athena, Artemis and Hestia. The three vulnerable goddesses are Demeter, Hera and Persephone. Aphrodite is the lone alchemical goddess. I think it would be more useful to divide them up into relational or independent. Relational goddesses turn to outwards to others, and mainly see themselves through their relationships: Demeter the Mother, Hera the Wife, Persephone the Daughter and Aphrodite the Lover. The independent goddesses are fundamentally independent of others and mainly see themselves in relation to their work: Artemis with Nature, Hestia her Home, Hecate her Studies and Athena her Success. However, Aphrodite and Athena are the two goddesses that can flip being relational/independent; although Aphrodite lives to love, she's independent at heart and never stays with one lover. And although Athena lives out in the world, mixing it up in the battle of success, inside she's always Daddy's Little Girl, seeking his approval. Like Persephone, Aphrodite tends to make people uncomfortable with her passionate, unlimited feelings. Both tend to merge with their partners, like the waters of the ocean, but where Persephone often loses herself, Aphrodite doesn’t – she has a secure, queen core of strength that enables her to retain her sense of self. Unlike Persephone, Aphrodite's sexuality is of the daylight realm; intense but happy and joyful. Persephone's is darker but both are sexually intense. The pomegranate was sacred to Aphrodite who was said to have first planted it on the island of Kypros. The fruit symbolised female fertility and the marital loss of virginity with the consumation of marriage (from both its red stains and rich seeds). The pomegranate also evoked the presence of the Aegean Triple Goddess (who evolved into the Olympian Hera). The chambered pomegranate is also a surrogate for the poppy's narcotic capsule, with its comparable shape and chambered interior. On a Mycenaean seal the seated Goddess of the double-headed axe (the labrys) offers three poppy pods in her right hand and supports her breast with her left. She embodies both aspects of the dual goddess, life-giving and death-dealing at once. "Aphrodite is a combination of two emotional control systems: sexuality and homeostasis. 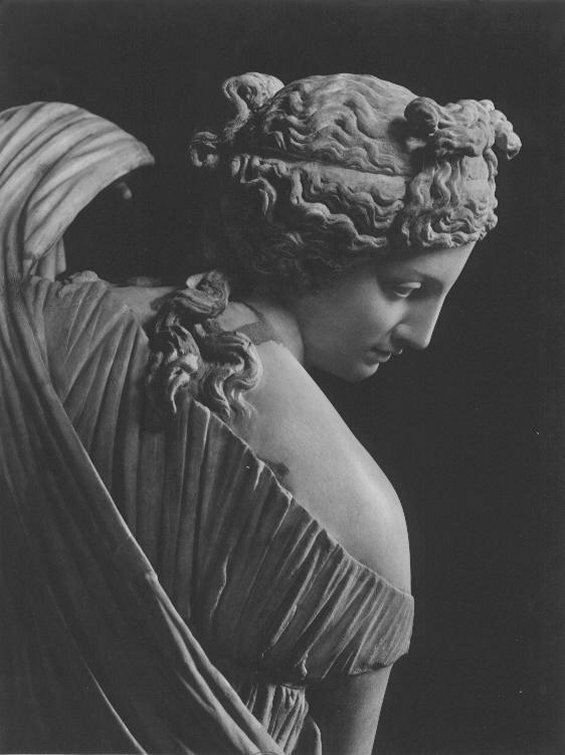 No one has ever referred to Aphrodite as the "goddess of homeostasis" but this is the nature of pleasure: when our bodies are out of balance, we suffer. When we get, do, or consume what we need to return to homeostasis, we feel pleasure. E.g., when you're cold, nothing is so pleasurable as a hot drink. When an Aphrodite woman's body signals that it's out of balance, she looks for an opportunity to experience the pleasure of returning to homeostasis. E.g., jumping into a cool creek on a hot day. Her pains and pleasures are immediate, not some time in the future. Sexuality is a different emotional control system." Suddenly, the link between Aphrodite and Libra jumped out at me. Libra is the scales - Librans are famous for being surprisingly fussy about things. They're so pleasant and easy going that their endless "yes, but" arguments seems completely out of character, but there's a reason for it. Libra/Aphrodite needs to find balance. Are manic pixies always evil?